Have a question for Liki Tiki Village by Diamond Resorts? 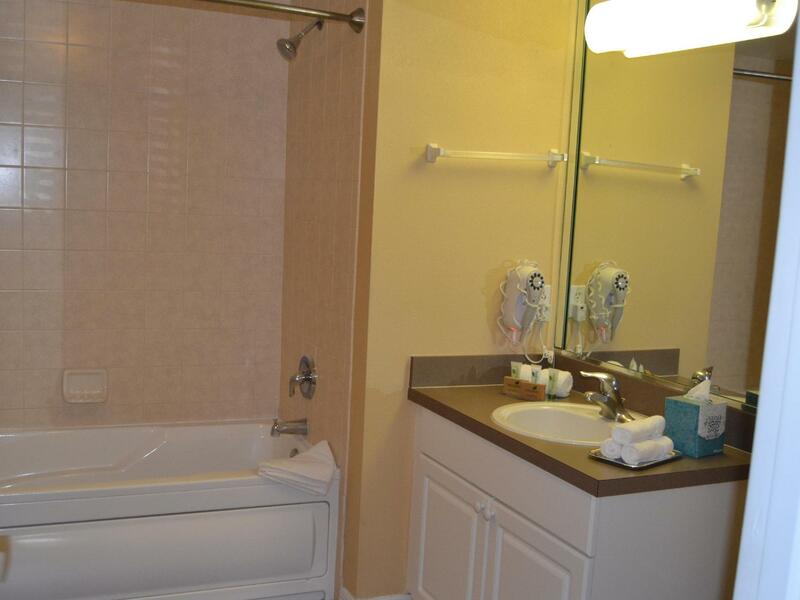 "Close to Disney, beautiful resort and very spacious." "The staff were lovely and so helpful." 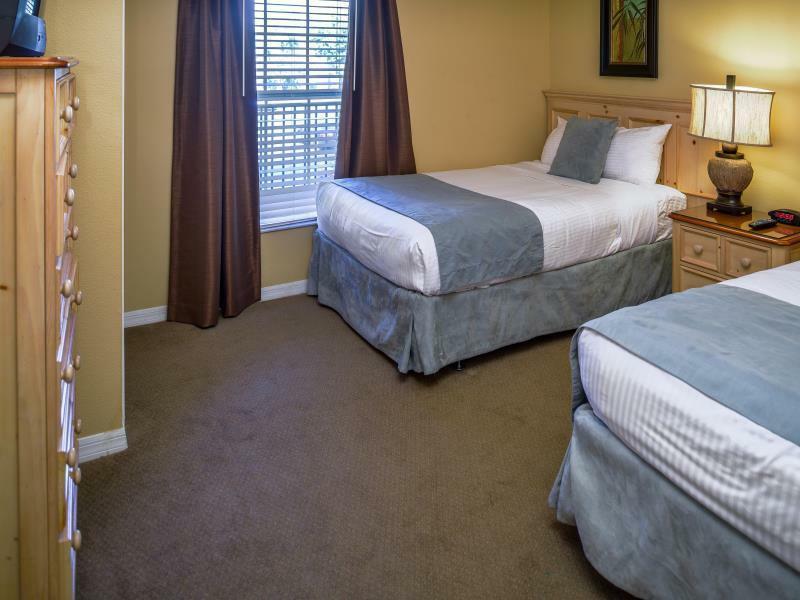 Located in the lovely area of Disney Downtown Lake Buena Vista, Liki Tiki Village by Diamond Resorts enjoys a commanding position in the family fun hub of Orlando (FL). From here, guests can enjoy easy access to all that the lively city has to offer. Also within easy reach are Encore, Orlando Resort, Presidential Museum. Liki Tiki Village by Diamond Resorts offers impeccable service and all the essential amenities to invigorate travelers. The hotel provides free Wi-Fi in all rooms, 24-hour front desk, facilities for disabled guests, Wi-Fi in public areas, family room to ensure our guests the greatest comfort. In addition, all guestrooms feature a variety of comforts. Many rooms even provide television LCD/plasma screen, carpeting, linens, private entrance, sofa to please the most discerning guest. The hotel offers wonderful recreational facilities such as hot tub, fitness center, golf course (within 3 km), outdoor pool, children's playground to make your stay truly unforgettable. 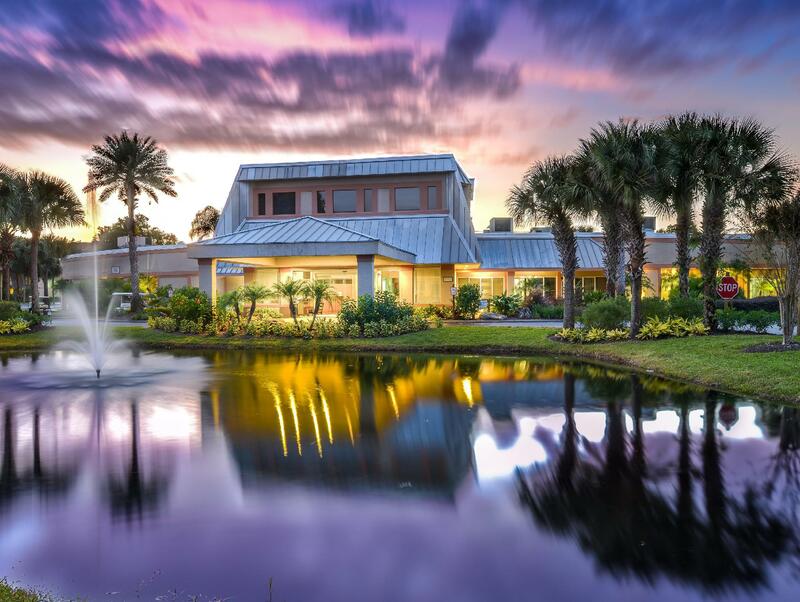 Superb facilities and an excellent location make the Liki Tiki Village by Diamond Resorts the perfect base from which to enjoy your stay in Orlando (FL). "The room was a suite with kitchen, separate bedroom and outs..."
The credit card used for payment at the time of booking needs to be shown upon check-in. All guestrooms at this property are non-smoking. Guests are responsible for all costs, damages, and liabilities caused by smoking. Early check-in is subject to availability. The property requires guests to climb stairs and may not be suitable for the elderly or those with limited mobility. A credit card security deposit of USD 100 is required upon check-in for charges or damages during the stay and will be refunded upon departure. Pets are strictly prohibited at the property, with the exception of guide dogs. A property fee will be collected upon check-in. The property will be handing out wrist bands upon check-in for registered guests in all rooms to access all amenities on property. Daily resort amenity access wrist bands will only be issued to registered guests upon check-in. Maximum room occupancy will be strictly enforced. 旅館會要求支付resort fee，住了四天共收取100美金。 In addition to the payment made via AGODA, the resort required us to pay 100 USD as the resort fee. 除此之外，房間非常乾淨，設備非常齊全，人員親切且環境優美。 other then that, the room was clean, the facility was well prepared and the staff was friendly. I think there would be no negative feelings if the resort fee is listed or informed prior to reservation. It was not what we expected at all. The room was a suite with kitchen, separate bedroom and outside seating. The staff were lovely and so helpful. The pools were clean and there was a great pool area with slides. This was well sypervised with a friendly poolside team. Beware the sales team for the Diamond Resort we opted to go and listen and being older and wiser were able to walk away. They were polite but very persuasive. We went in after checking them out. This did not change my view an amazing venue for families or couples alike. Under 40’s couple and 15 yr old son we loved this place and were surprised at the quality for the price, had already booked another hotel for the second half of our stay as did not expect the resort of liki tiki to be as good as it was shouldn’t have bothered we thought it was amazing. Great activities! My kids loved the pools, mini golf course and playground. The hotel staff were very helpful and the apartment we stayed in was clean and modern. It’s a good place to go with family. I liked the facilities, pools, entertainment, and the staff were very friendly. The room was clean and functional for my family. The room was not cleaner than i pretend. The floor was dirty. The lights are poor... i think there would be more lights... In spite of that the resort is amazing and the staff is friendly. Pricing through Agoda is very competitive, one bedroom has fully equipped kitchen with a large fridge, spacious living room, large bathroom with access from the kitchen and bedroom. Two working TVs. Nice large balcony. Staff is super friendly and the suite was very clean. Friendly staff., very welcoming! The rooms were surprisingly spacious and functional. Everything was clean! We were provided with all that we needed, if not more. Only con I would say they have is the elevator in our building. (600) There's only one and it's very outdated. Sometimes it felt like we might end up being trapped in. It would take awhile to reach the selected floor and for the door to open. Also, the elevator wasn't leveled to the floor. So needless to say, we tripped our first time on it and it was a mission with our heavy luggage. Other than that, it was great stay! I have already recommended it to family and friends! We stayed 2 nights in a 1 bedroom suite with our 3 year old. I wish there was more signage to show you were the resort is located, we arrived at night and it didnt exactly stand out. After a smooth check-in, i quickly realized i should have skipped the "welcome bag" at the concierage desk, its where they try and sell you the vacation club. I quickly and nicely declined and moved on to my room. The suite was spacious, very clean and comfortable bed. Tvs could be updated and the living room one was oddly FAR from the living room sitting space. The worst piece of furniture was the couch which I assume was a pull-out, but man sitting on it was like sitting on bricks. Staff was friendly and was prompt with any of our requests. Unfortunetly we didnt have time to use more of the facilities so I cant comment on them. My biggest complaint is the 845am phone call we got to tell us we had a "departing gift bag" at the front desk....another sales pitch. I politely declined the damn bag but gave them a piece of my mind for waking me up. One thing is to do it when you are already at the check-in desk, but now you are going to hound me early in the morning in my room?!!?!? No, no no no! Overall, id stay again and request to be left alone from sale pitches. I had reservations before going as it was under new management and there was a few complaints about it on some reviews. But we were pleasantly surprised when we got there. Room was really big, very clean, updated. Stuff to do on the resort was limited but perfect for us. We have three boys under the age of 10 and the pool area was perfect for them, they enjoyed it very much. My only complaints about it would be that the bar status open later than 9-10pm, entry into the resort was a pain sometimes it took 10 minutes sometimes. But all in all we are definitely going to rebook this resort in the future. The resort was very good, big rooms. The resort have everything, no need to go out. The location is good but not perfect. The pools are nice with large water playground. The rooms were clean and the kitchen has everything. Place was nice. They can use a little updating on the furniture but overall it was good for our big family. It was a little home away from home. The water park was nice the kids love the slides. I recommend bring your own lounge chair. I couldn’t find me a lounge chair for hours. People grab a lounge chairs for the whole family and don’t even use them. The kids are in the pool more than half the time. So whats the point. I had to put my stuff in a corner and wait around for a chair. Practically jumped out of the water when I saw a chair available. Some people just don’t have consideration. That you’ve been waiting long before they came. Maybe they should have a limited amount of chairs per room. Oh and let me just add the bartenders were more interested in their own conversation then serving the customers. Be aware it's a timeshare property and they will try and sell it to you, they are not too pushy if you say no. I didn’t see the point of having my son birthday party if the guests were not allowed to enjoy the pool with us. 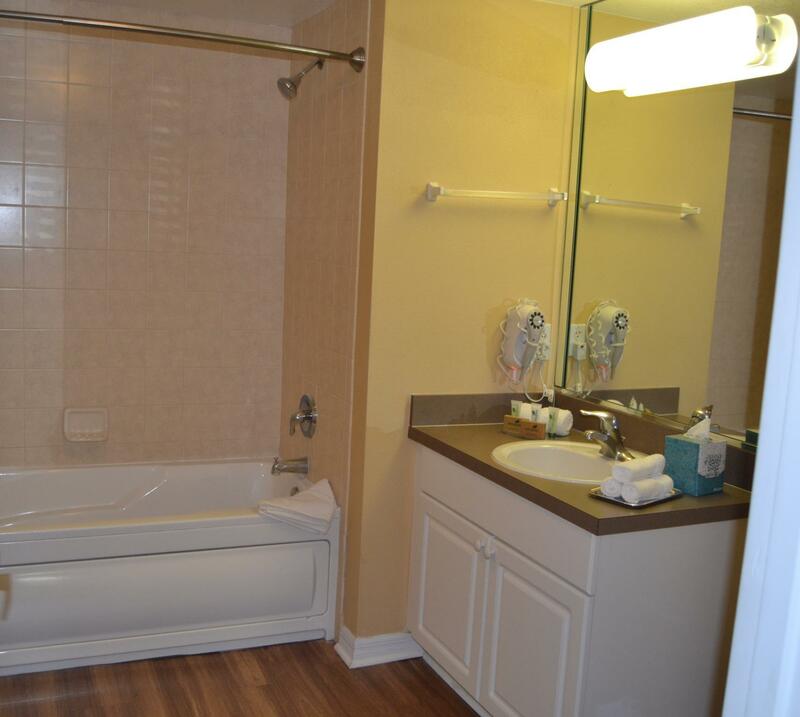 Spacious, clean 2 bdrm villa rental. Onsite waterpark was great for young or older kids; hotel restaurant served decent gastro pub food. Short drive to the parks and restaurants. Excellent value. 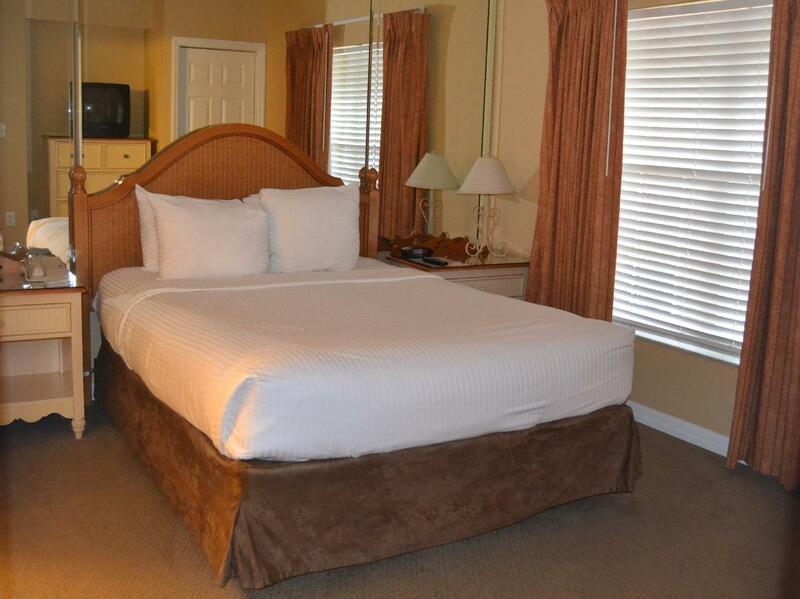 Friendly staff through out; clean, spacious accommodations; great for individual to family. Lots of things to do or just a quiet place to relax. Went through trip adviser.....great price.